Fees associated with Japanese PCT national phase entry as well as other patent fees are available in the fee calculator. The time limit for Japanese PCT national phase entry is 30 months from the date of priority. Restoration of this term is not possible. The official language of the Japan Patent Office is Japanese. A patent application may be filed in English; however, a Japanese translation should be provided within two months from entering Japanese PCT national phase. 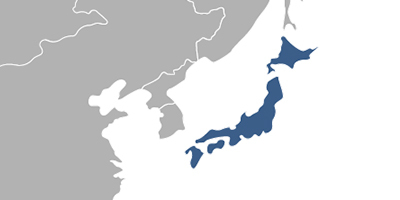 A POA is not required for entry into Japanese PCT national phase. It is required to provide a POA for some special proceedings, such as assignment and appeal filing. A request for substantive examination must be filed within three years from the international filing date of the PCT application. It is possible to request accelerated examination under PPH. Any form of disclosure (including sales) by the inventor within twelve months prior to the international filing date does not disprove the novelty of an invention. The applicant has to file a request for a novelty grace period at the time of Japanese PCT national phase entry and submit a certificate of the disclosure within 30 days thereof. The official grant fee for a patent should be paid within 30 days from the date of receipt of the Notice of Allowance. The annuities for the first three years should be paid simultaneously with the grant fee. During the 3rd year of the patent validity, the 4th annuity should be paid, and so on. The annual maintenance fee depends on the number of claims. It is possible to pay the annuities in an accumulated manner. For foreigners, it is necessary to perform Japanese PCT national phase entry through a registered Japanese patent attorney. Online Database for Japanese Patents and Utility Models.